It has also shown that even for one of the world’s most powerful tech titans and the owner of one of the country’s most influential newspapers, the best means of communications can be a simple blog post. And in a time when Beltway pundits complain that the public has lost its capacity to be shocked, Mr. Bezos’ post did exactly that. Amazon declined to comment. A.M.I. did not immediately respond to a request for comment. Mr. Bezos said he had turned to Gavin de Becker, his longtime private security consultant, for help. In recent interviews, including with The Daily Beast and The Washington Post, Mr. de Becker has said he was investigating whether Ms. Sanchez’s brother, who has said he supports Mr. Trump, may have been behind the leak for political reasons. Those who support the president may have been motivated to move against Mr. Bezos since Mr. Trump has long criticized the billionaire. Mr. Trump has previously linked The Post and Amazon in critical Twitter posts, once declaring the “Fake Washington Post” a “lobbyist” for Amazon. Mr. de Becker did not immediately respond to a request for comment. 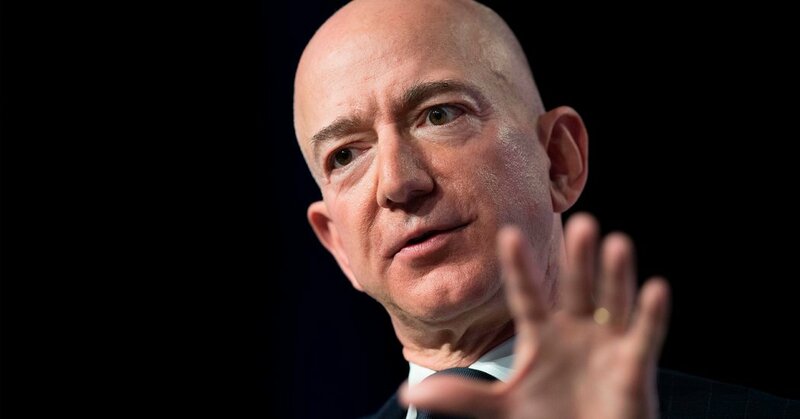 In Mr. Bezos’ post on Thursday, he also published several emails between Mr. de Becker’s lawyer, Martin Singer, and A.M.I.’s lawyer, Jon Fine, and chief content officer, Dylan Howard. The emails detail explicit photos The Enquirer had obtained of Mr. Bezos and Ms. Sanchez but hadn’t run, and went on say A.M.I. would not publish the photos if Mr. Bezos stopped his investigation and publicly said he did not think the leak had been politically motivated.